For most businesses that rely upon high volumes of easily accessible stock as part of their operation, in-house warehousing is not usually an option. By far the most cost effective route is the utilisation of off-site warehousing, but finding the right company is crucial to the on-going continuity of supply and distribution. Fergusons have 8 large warehouses in the UK. In total, there is over 430,000sqft of warehousing space available, with over 275,000sqft within one mile of NMUK (Nissan). 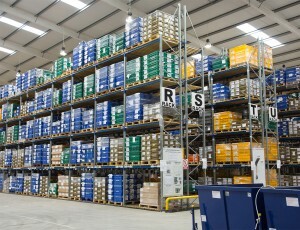 Staff trained to strict ISO 9001:2008 standards & the UK Warehousing Association Standards operate all our warehouses. We can accommodate the storage of indoor or outdoor products. We have high bay racking bulk warehousing facilities, overhead crane storage with the capacity to lift 20 tonne and a HMRC approved bonded warehouse, all offered on both long & short-term contracts. Utilising our state of the art Warehouse Management System (WMS) we can provide full stock traceability and history, as well a providing a suite of EDI messaging capabilities and the ability for clients to view an online web portal of their view stock & orders. All our sites are alarmed and have CCTV security. We can offer a bespoke solution to your warehousing and storage needs, if you are interested in finding out how we can help you then please contact us today for more information and arrange a visit to our warehouse by making an appointment. 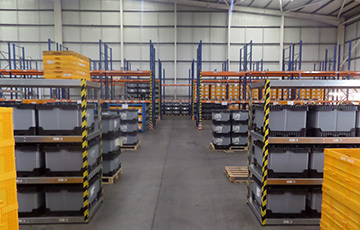 We can store varied types of product utilising our racked, shelved and block stacked areas ensuring your items are stored safely and securely​. Utilising our warehouse systems to ensure 100% “poke-yoke” checks for any type of sequenced products. 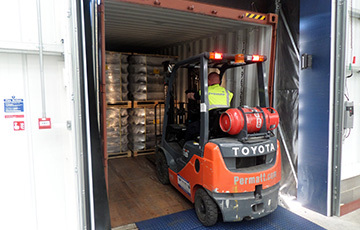 Utilising the latest machinery including container conveyers, to ensure containers are tipped efficiently through to storage within the warehouse. 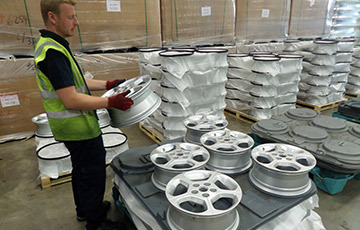 We offer a range of reworking solutions to suit all individual requirements, and our specialised department can also facilitate checking any specific quality inspections before despatch. 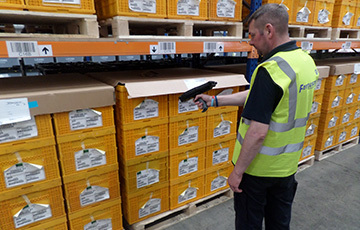 Utilising our WMS system and latest technologies to ensure maximum stock accuracy. 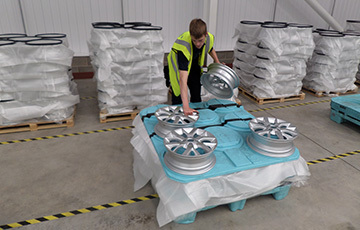 Fergusons can re-palletise / reconfigure stock ready for despatch to the customer. 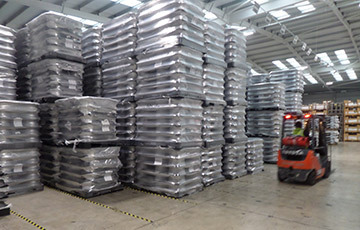 Within our 150,000 sq ft warehouse we can facilitate the storage of bonded goods and also handle the customs declarations within our HMRC customs brokerage services. 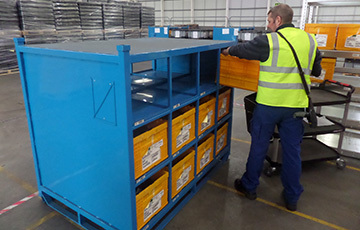 Fergusons operate a fully integrated pick and pack system, ideal for those businesses that require flexibility in their distribution services to customers.